Gary Taubes (Good Calories Bad Calories) and Tom Naughton (Fat Head) both pointed it out, as have others I’m sure, but Peter’s charts add a nice crescendo to the chorus. What am I talking about? 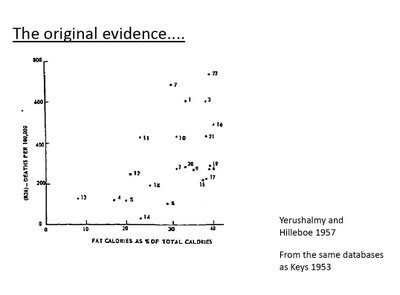 Nothing less than the biased, incompletely used data upon which Ancel Keys built his infamous, notorious, and utterly bogus lipid hypothesis. It’s a solid example of confirmation bias and scientific chicanery reigning supreme. As if that wasn’t bad enough, just imagine how many people have been sick or gone to an early grave because they were following the resultant bogus advice that comes out of the lipid hypothesis, which is to say nothing of the wealth that has been utterly wasted trying to support both research into a bad hypothesis and the healthcare of an increasingly sick population paranoid about eating fat (While getting fatter every day eating more and more “whole grains”)! 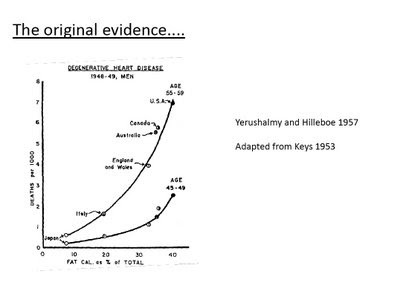 The gist is that Ancel Keys ignored the entirety of a study and handpicked the data that would support his lipid hypothesis. You can read about it in Taubes’ book. You can watch a great, animated snippet illustrating the legerdemain compliments of Tom Naughton (youtube: http://www.youtube.com/watch?v=v8WA5wcaHp4 ) or you can dive into the charts from Peter.
. . . Slightly less convincing is when the choice of different countries from the same data bases suggests that dietary fat has nothing to do with heart disease and that heart disease is very rare anyway . . .
At this point you would have thought that the name Keys would have become a joke and people would simply have ignored him as a self publicising evangelist with scant respect for the truth. But Keys was nothing if not determined. There’s even more chart-making sleight-of-hand if you’re curious. 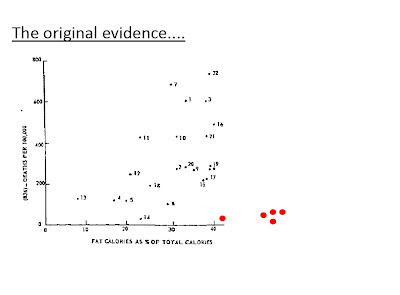 Sad “science.” We can only hope that one day the verdict of “guilty” on fat is overturned. Leave a Comment on A better way to die? Relativistic comparisons between the humane harvesting of animals via slaughterhouses and the normal way millions of animals die every day in the wild — i.e. natural causes like a hawk tearing the lung of a crow and the crow dying of asphyxiation or lions causing an elephant to suffocate, etc. Cortisol’s (stress hormone) meat-ruining impact incentivizing slaughterhouses to be humane, not stressing out the animals. It’s a thought-provoking, well-written piece. The book referenced is one I should probably add to my wish list. When animals (ourselves included) are stressed, they release cortisol, a hormone that looms large in the fight or flight response. This cortisol can be measured and used as an indicator of stress. Cattle are minimally tamed animals. They are by nature skittish. They don’t take well to being handled and, in fact, don’t really like to have people around. Dr. Grandin has taken cortisol samples from animals just standing around the farm with people within view and discovered that they have a slightly elevated cortisol levels. When she tests animals in properly designed slaughterhouses right as they reach the final station, she finds that they have similar cortisol levels as animals standing in the barnyard with humans present. In other words, a little stress, but not a lot. I can pretty much assure anyone that these animals meet their deaths in today’s slaughterhouses with orders of magnitude less stress than they would were they living in the wild and being preyed upon by large carnivores. In fact, had they been living in the wild, they wouldn’t exist today. They would have been relegated to the long list of animals that have become extinct. Let’s consider cattle. Cows are large, fairly placid, relatively slow, and exceptionally stupid. They are also uncommonly good to eat. All these facts taken together make it clear why cattle are still with us. (It also reminds me of a great and very true statement I heard once but can’t remember where: ‘If you want to preserve the American bald eagle, all you’ve got to do is make ‘em good to eat, and before long, you’ll be overrun with them.’) And not just a few specimens in zoos, but by the millions roaming pastures the world over. Cattle, unlike other wild animals, allowed themselves to be domesticated. Humans complied and domesticated them. A covenant arose between humans and cattle in which we provided for them and they for us. We kept them safe and allowed them to breed and survive as a species; they provided us with meat in return. It’s been a great bargain for all sides. Although any individual steer trudging off to slaughter may not see it this way, the covenant has been a godsend for the breed, which has grown and prospered. There is a wonderful book titled The Covenant of the Wild detailing this animal-man symbiotic relationship that should be on everyone’s bookshelf, especially anyone’s who doesn’t feel right about eating meat or who is being relentlessly hounded by vegetarian friends or family. Although it’s never pleasant to think of animals being put to death so that we can eat them, it is reassuring to know that it is done as stresslessly as possible. If done right, with almost no stress at all. If, however, the PETA folks had their way, these animals would be turned away from the slaughterhouse doors and sent to live out their days peacefully on lush pastures somewhere. If this vegan fantasy came to pass, what would happen to these cattle? Would their deaths be more or less stressful than at the hands of their human handlers? You probably know the answer, but let’s take a look. And, remember, not for the squeamish. Via Peter at Hyperlipid, an article about how a wife treated her husband’s Alzheimer’s by introducing coconut oil to his diet. Why coconut oil? The wife, who happens to be a physician, had been trying to get her husband involved in a clinical trial that used a drug primarily composed of medium-chain triglycerides (MCTs). 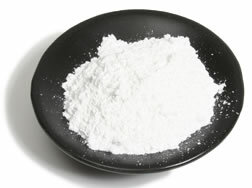 MCTs, which make up most of the fat in coconut oil, are sent straight to the liver from the stomach to be digested. This digestion process produces ketone bodies, which are used as energy by the brain (as well as other organs, like the heart). Note how the first drawing looks like random numbers on a page. The second clock still gets the numbers wrong. The last clock, though not pretty, nails it. Think about this: in less than two months, this man went from being unable to draw a clock to drawing one correctly simply by adding coconut oil to his diet! Remarkable! Any scientists looking for a good experiment? Please look into this! Final note: I don’t take this as any reason to start downing coconut oil (Though I cook with it all the time), rather I see it as more evidence of the correlation between health and diet. And of course, score one for eating saturated fat since MCTs are nothing but shorter length saturated fats! I’m back from my two-week hiatus whereby I partied with old college buddies at my best friend’s wedding in Olympia, Washington, and then took a week-long vacation with my wife — we drove around Mount Rainier and toured Seattle and Vancouver. The vacation was much-needed, and I took the opportunity to disconnect entirely from work for most of it. Of course, the five days in Olympia were spent consuming untold amounts of junk food and drinking immense amounts of alcohol, day after day, all on reduced sleep and fighting jet lag. Said differently, I lost control of my insulin and fell off the health wagon! And of course, once off the wagon, I took full advantage, eating every cinnamon roll and chip in sight. It happens, I guess. Setbacks happen. The downside to this admittedly enjoyable carbfest is that I gained probably eight pounds of non-lean tissue. I’m ballparking that a bit as my weight went up about that much and based on some skinfold calipers, my body fat percentage went up maybe 2 – 3%. 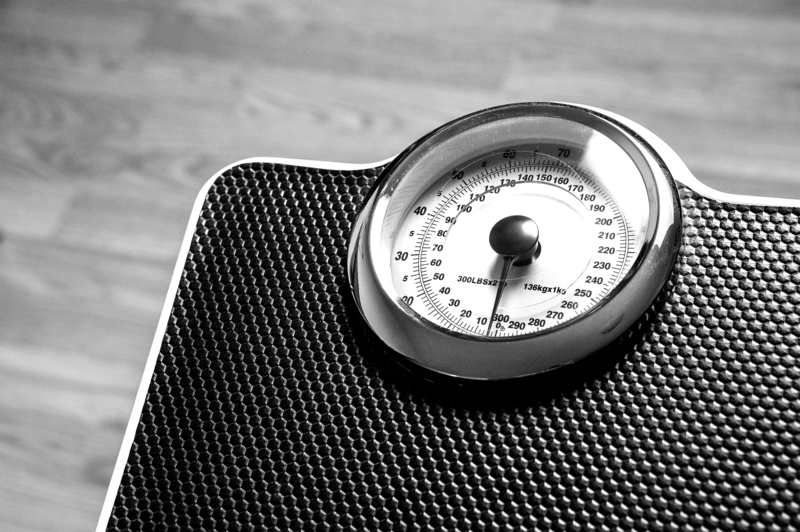 Using pre-vacation figures and comparing lean tissue to post-vacation figures, my lean tissue stayed virtually constant, thus the reasonably accurate guess that I put on about seven pounds. Amazing what a couple weeks of bad-eating can do, right? We got back this past Sunday and I’ve since embarked on getting back on track. This has involved some mini-fasts, exercising, et cetera. I can already tell some improvement from just a few days ago in my torso adipose tissue. Caloric restriction and eating a low-carbohydrate diet will key your body in certain helpful ways. Insulin sensitivity will rise, for example. The body will cycle through waste-proteins and move to cell maintenance and repair. I liken this process to battening down the hatches, throwing overboard unnecessary baggage and running lean. The flip side of caloric restriction and low-carbing is that heightened insulin sensitivity means both a more acute reaction to carbohydrates when consumed and, well, your body has been running lean and is all about replenishing lost resources. So in a period of abundant carbohydrates and the utter lack of exercise, your body is going to go into full storage mode. All of the above demonstrates how dynamic our bodies are. Flip a few variables and you will get an entirely different result. Fat stores are incredibly dynamic. The first two or three nights after consuming immense amounts of alcohol and carbohydrates, I had to sleep above the covers as I could not get cool. Pure speculation, but I’m guessing that my body simply wasn’t ready to produce enough insulin to reduce my blood sugar to appropriate levels, so it was heat cycling away the excess calories (Adaptive thermogenesis?). What I’m really curious about is how long it will take me to get back to my pre-vacation weight. Is two weeks too much to hope for? A month? What I’m finding difficult in implementing the above is that I’m still fighting the reverse jet lag, which makes going to sleep at a decent time very difficult. In turn, I wake up late, and the SFP is almost certainly best implemented in the morning fresh off a fast. Ideally, I can combine SFP with CrossFit to get a nice training regiment going. Regarding CrossFit specifically, I’m leaning to implementing a 3x week CrossFit training schedule whereby the days are not back to back. That level of high-intensity, in my opinion, puts too much stress on my body: I’d rather integrate CrossFitting with some SFP and/or low-intensity “activity”. Any suggestions? Apologies for the brain-dump here, just been working through some ideas and brainstorming them out here on the blog. Whether they make for good reading is moot! Seems a week’s worth of dieting and exercise has already made some impact on getting me back on track. Of course, to echo my real interest — I want to see how long it takes me to get back to pre-vacation definition. I’m hoping it will be “easy come, easy go” while fully realizing that its a lot easier to gain weight than it is to lose it, particularly when that weight is fat.